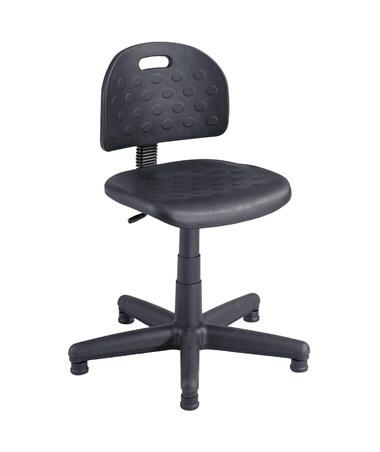 The Safco Soft Tough Task Chair is a simple and durable workbench chair with several adjustable features for maximum comfort. It is tough enough to handle up to 250 pounds of weight. 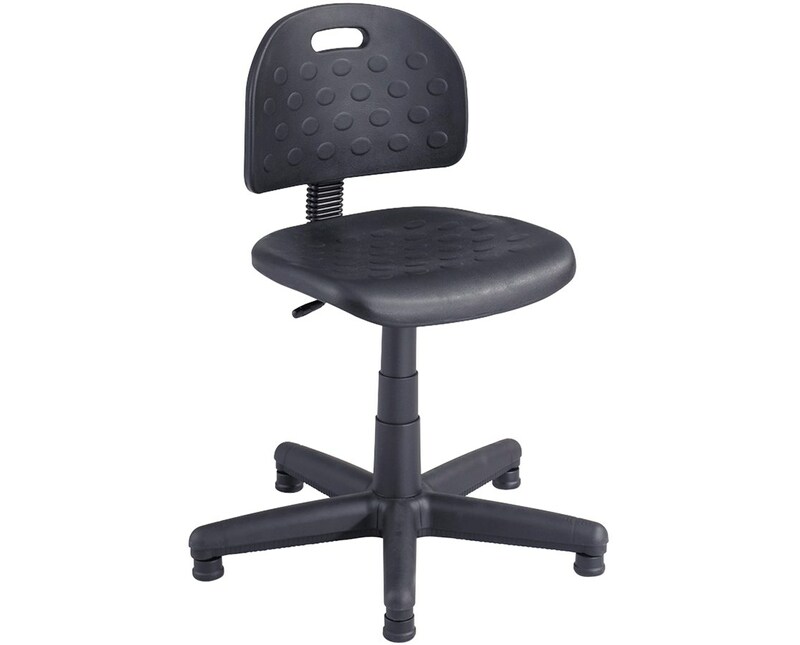 The seat swivels and its height can be adjusted using the pneumatic control lever. The 25-inches diameter five-star base has a black telescoping polypropylene cover and floor glides for stability. This chair has a frame made of steel and a seat and back made of Polyurethane. It meets ANSI/BIFMA industry safety standards. This task chair is available in two types, the economy and the deluxe and only the deluxe type is compatible with the T-Pad adjustable arms. 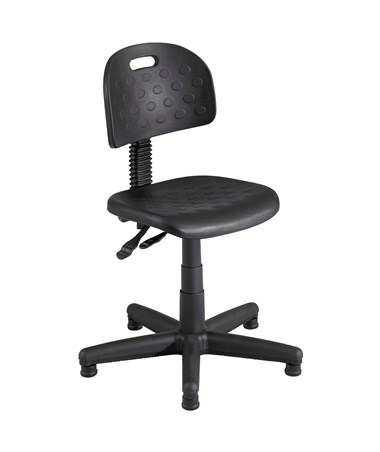 The Safco Soft Tough Task Chair is available in two different types. Please select your preference from the choices above.